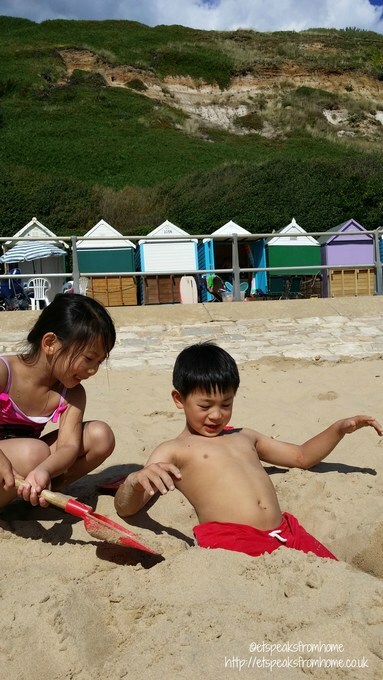 On our last week of the holidays, we spent some days down south in Dorset at a caravan site. 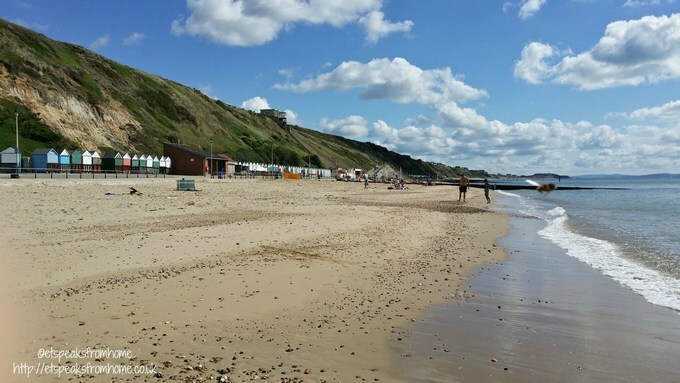 At the same time, we took the opportunity to visit an old friend of my husband’s in Southbourne beach. We were so lucky with the weather as it was so warm and sunny! The beach is so sandy, clean and beautiful! We took a long walk down to our friend’s beach hut before relaxing with a nice cup of tea. Both children couldn’t wait and they quickly dashed over to play in the sand. They were so happy digging and dug a hole deep enough to fit the lower halves of the body in! The sea was very calm and peaceful so they decided to all have a wade in the sea. It was the kids first time swimming in the sea so it was quite an experience for them! They didn’t stay in for too long as it was still quite cold. What better way to warm back up than to play Frisbee on the beach? While they played, I was busy sunning myself and chatting on Twitter. After we had our picnic lunch, we headed back to our caravan site. 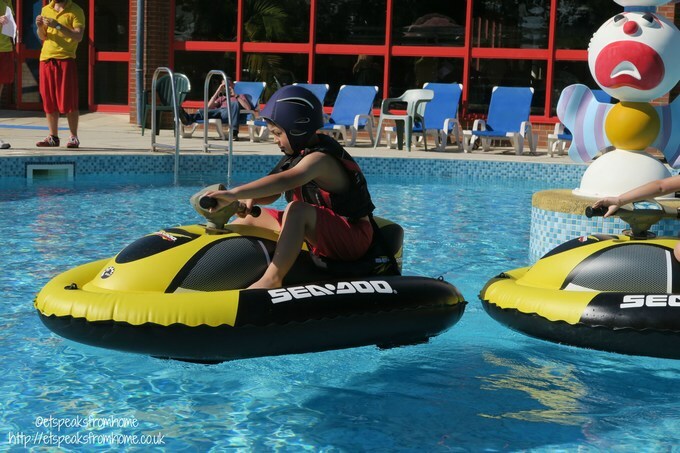 We had booked both children to try out the mini jet skis. I was slightly disappointed that the mini jet ski was in fact a really slow moving inflatable. It didn’t have a great power in it and the outdoor pool is quite small for it. But both children were very happy going around the pool again and again! Later that night, we went to a very nice seafood restaurant and ordered this seafood platter! It was amazingly delicious but the price was not cheap either! It cost us £22 per dish! 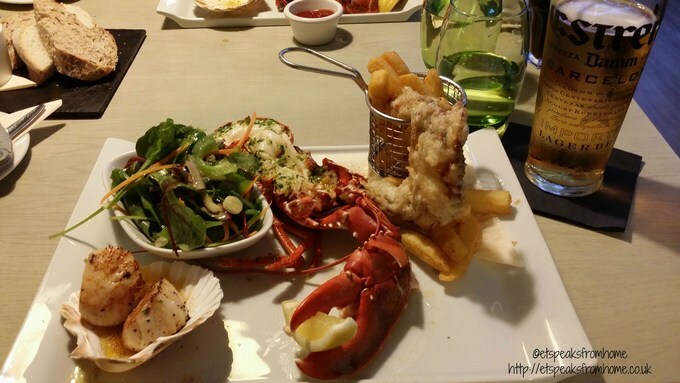 It had deep fried soft shell crab, half a lobster, scallops, chips and salad. It had been a long time since we had proper seafood! 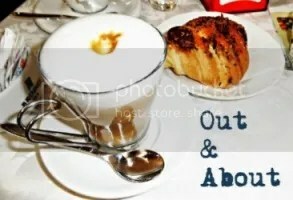 While writing this, I am actually craving for it! We had really enjoyable short break and can’t wait to go back again soon!